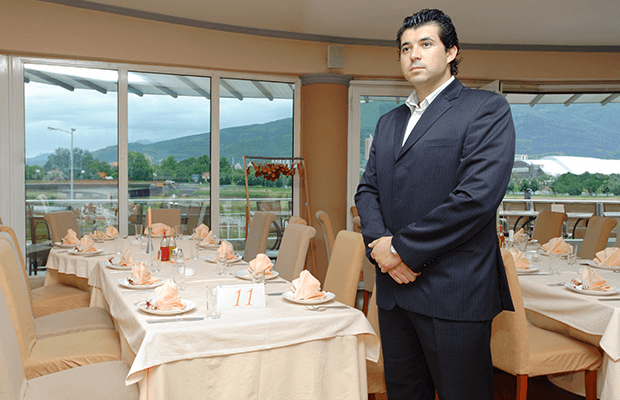 The duties of a hotel manager comprise of managing top to the bottom level workforce. Right from keeping the hotel running and live, the manager has to be aware of each and every action taken, whether it is a guest service, administration, bookings, dine-in, laundry, staffing, and payroll. If you hire a hotel manager who has soft and hard skills, your half the problem is solved. He will surely be able to sustain in all the conditions. And at times will get to the scratch of any issue arising in the business and solve it amicably. You should recruit an expert in management who will cruise your hotel through various challenges, competition and all that is needed to build a successful hotel business. Evidently, the duties of a hotel manager are extensive, never knowing where to start and where to end. Let’s take a look at some of the areas a hotel manager needs to focus on, to run the hotel successfully. So, what are the duties of a hotel manager? You can’t deny the fact that the automation of business processes reduces the time taken to manage and perform operations significantly. Hotel technology plays an important role in developing hospitality businesses. So to say, one of the most important duties of a hotel manager is to bring about a change in managing hotel operations. Adopt the new technology like a comprehensive hotel management system for simplifying all hotel jobs and marketing activities. Additionally, employing robots for your guest services can make your hotel operations efficient and interesting. Right from welcoming guests, to handing over key cards, check-in, reception, desk services, travel inquiry, entertainment, cleaning, and maintenance; you name it and the technology will get all the services done in a flash. Understanding the mindsets and the strengths of your team are inevitable for a hotel manager. Accordingly, he has to be selective in assigning tasks to the staff and guide them in the right direction. That’s why leadership and mentorship is one of the must-have traits of a hotel manager. More importantly, he should be open to accepting suggestions from his subordinates. Every business has a standard to maintain in the industry. People talk about the way you conduct your business, provide services and how you have fared uptil now. One of the major duties of a hotel manager is to do branding and marketing. Keeping eye on guests reviews from social media, OTAs and feedback platforms will help in raising your brand consciousness in minds of your prospects and clients. You extensively need to look after the online hotel reputation management. This is because you cannot afford to ignore even a single guest who had a bad experience and tells the whole world about it via such review platforms. Every business runs on ideas. Being open to new suggestions is an effective way to interact and encourage participation of your staff members in hotel business management. Here, the staff is held responsible for their work whether it is bookings management, housekeeping, laundry, banquet and other services offered in various hotel departments. They have to make sure that all tasks are done efficiently and on time, which eventually increases your hotel’s revenue. The right information is the key to taking solid business decisions. One of the duties of a hotel manager is to take any decision based on facts and data that works in the long run, not on gut feelings. As much commendable, it is, meeting the guest expectations in the right manner requires a lot of efforts. Your hotel manager needs to classify the rate type and designate it under family or corporate or government, as per your guest and accordingly, the services are to be rendered. So, with these few penned down duties of a hotel manager, you can check whether your manager is working accordingly to give you desired results. And, if you are opening a new hotel these are the major things you need to look for in a hotel manager so that your hotel business blooms exponentially. A complete package of hotel management software is what you or any hotel manager in this world is looking for. It will not only automate all your operations, but also make hotel management extremely easy for you.